From the creators of Iris and Indie DIFC, comes the unconventional Italian restaurant, Matto. Open since January 23, the homegrown restaurant focuses on classic Italian food with a side of mischief. The industrial décor creates a vibrant and welcoming atmosphere, while an open kitchen creates a live culinary experience. Menu highlights include signature recipes like Stinco Di Agnello, Astice e Ceci, plus Stracciatella and Tartufo. For more information, head over to the Matto Facebook page. Representing 1,000 years of history, the authentic new restaurant and bar fuses innate Italian hospitality in a biodynamic approach. Now open in its first venture outside of Italy, the waterfront venue fuses a vibrant restaurant and bar area, and offers a culinary experience where innovation meets tradition. Inside you’ll find an array of fresh fish, aged meat and a selection of fine cheeses – expect Burrata galore and signature tartares. For more information, head over to the Il Borro Tuscan Bistro Dubai Facebook page. Short for New Zealand, South Africa and Australia, ‘Nezesaussi’ Grill has launched its second venue at The Address Dubai Marina, following the success of its first outlet at Manzil Downtown Dubai. Defined by its sports paraphernalia and warm interior design, the sports bar is a place for gathering with friends to tuck into a hearty meal while watching the latest game on one of the 20 television screens or mega screens. For more information, head over to Nezesaussi. Dubai’s latest import from New York City, has opened doors at City Walk. 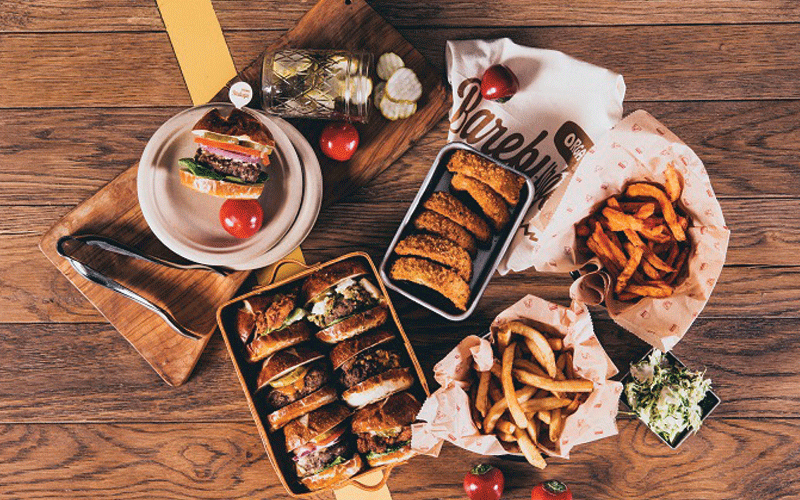 With a health conscious menu, Bareburger is dedicated to organic, non-GMO, all natural ingredients. So, if you’re in the mood for a brilliant burger, sans bad ingredients, head to Bareburger. For more information head over to Bareburger.